BOCA RATON, Fla. — Private Label Brands, a company known for developing high-quality nutripathic products, recently returned from the ECRM Efficient Program Planning Session (EPPS) event in Phoenix, Ariz. and described the experience as a positive one for the company. This Vitamin, Weight Management and Sports Nutrition EPPS event took place at the Pointe Hilton Tapatio Cliffs Resort in Phoenix, from September 30 to October 4. The event gives companies like Private Label Brands a chance to sit down in closed sessions with major retail buyers in the nutritional products industry. 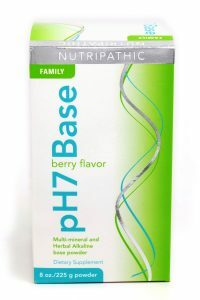 The Nutripathic pH7 Base Powder is just one of the many products provided by Private Label Brands. It provides users with an effective relief from lactic acid buildup and joint pain, and has been particularly successful among physically active people in cardio and weight training settings, as well as people who experience chronic joint pain and arthritic conditions. The powder and the pH7 berry-flavored dietary supplements of the Nutripathic line are designed for anyone age 16 or older who experiences joint pain, arthritis, fatigue, rheumatism and heartburn. It balances the acid levels in the body, keeping acidity in the alkaline (healthy) range, and preventing an overabundance of acid that typically leads to a higher incidence of disease and chronic conditions. One dose each day is all that’s needed for the supplement to provide its best results. EPPS is a branch of the Efficient Collaborative Retail Marketing (ECRM) event series where brands are able to have direct discussions with retailers and other brands about business objectives like product launches, marketing campaigns and more.